In kindergarten, Arizona students learn to spell simple, frequently used words, count by fives and so many other useful skills. At dozens of local neighborhood public schools throughout Arizona, many now also learn a second language through dual-language immersion programs. “Students learn the language very quickly when it is presented in an engaging and interesting way,” said Mai-Lon Wong, Ed.D., principal of Coronado Elementary School in Gilbert, which offers a Mandarin Choice dual-language immersion program for kindergarteners and first graders. 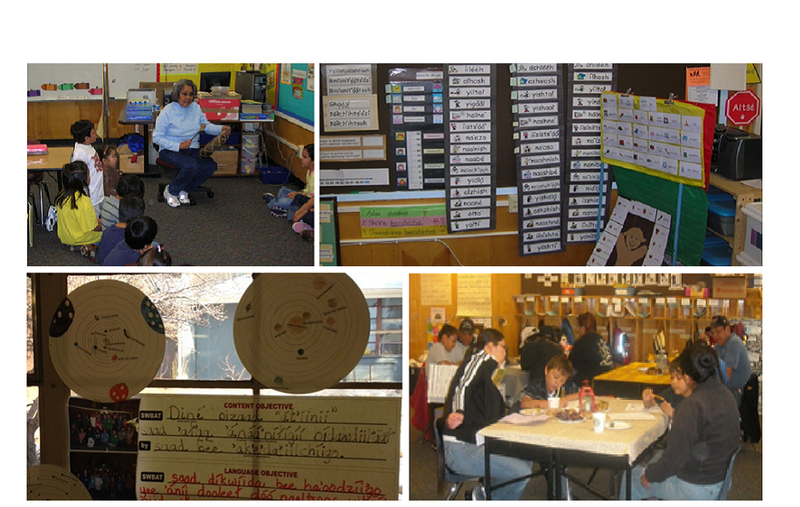 Since 2002, students at Puente de Hózhó School in Flagstaff have been immersed in either the Navajo (Diné) or Spanish language and culture from the first day of kindergarten to their last day of fifth grade. Bonny and Scott Dolinsek’s son has been in Kyrene de los Ninos School‘s dual-language Spanish/English program for the past three years. 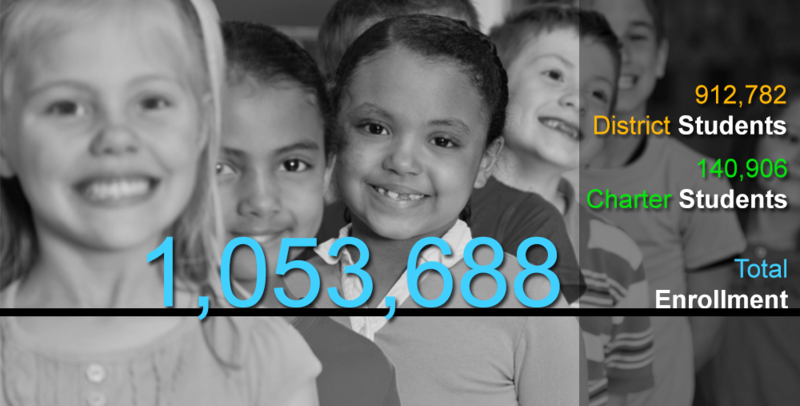 Dual-language immersion programs have grown from a few hundred nationwide to nearly 1,000 in the past three years. In Arizona, there are more than 40 dual-language programs in public schools, and the number keeps growing. This fall, Vail School District in Tucson is starting a Mandarin/English dual language immersion program for kindergarteners at Mesquite Elementary School after being approached by the Confucius Institute at the University of Arizona, said Natalie Luna Rose, communications specialist for the district. A team from Vail observed kindergarten students in a Spanish immersion program at a Cave Creek Unified school earlier this year, Rose said. 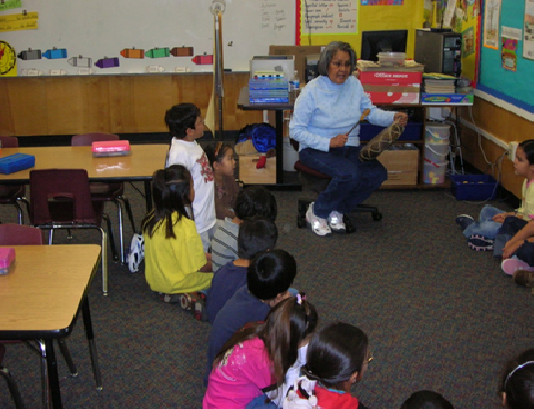 Tuba City Unified School District in Coconino County is redesigning their Diné language immersion program for grades K-12 “to replicate in every way possible in a school setting the language acquisition and proficiency as acquired in the home and family environment,” said Adair Klopfenstein, Native American studies director for the district. Tuba City Unified Superintendent Dr. Harold Begay is devoted to seeing the Navajo and Hopi languages and cultures thrive long into the future through district programs to “embrace and incorporate community cultural values and wisdom, use indigenous languages and cultural knowledge to empower and promote harmonious concordant personal, social, and educational growth and engage and stimulate minds with traditional native cultural knowledge and wisdom,” Klopfenstein said. Learning a second language is important, because it teaches students persistence and a different way of problem solving, Trubakoff said. It also expands the number of people they can communicate with, since students can use English and Spanish to talk to people in 187 countries, said Luis Melo, fifth grade Spanish teacher at Puente de Hózhó. “The world’s no longer small,” Rose said. Learning a second language helps students develop creative and critical thinking, and helps the U.S. remain competitive in the global market, Rose said. Coronado teachers understand the world is becoming increasingly global, and that schools need to prepare students today for the technologically advanced and internationally connected economy of the future, Wong said. Dual-language programs also are a “net pulling together families,” Melo said. 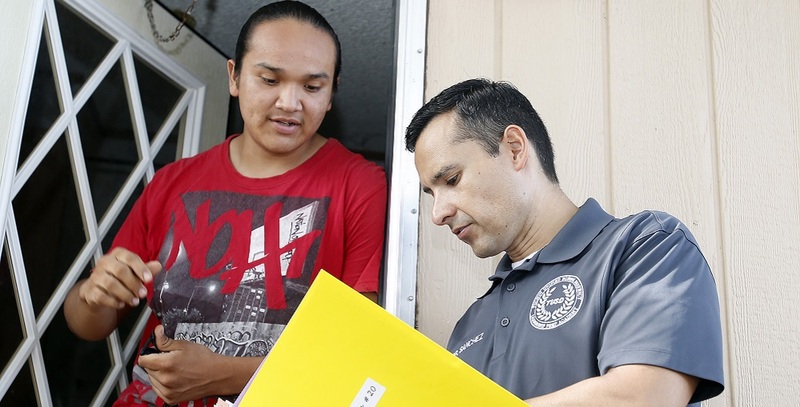 Tuba City Unified’s Navajo and Hopi language instructors appeal to students on many levels in order to engage them, encourage them and sustain students’ communication in their native language, Klopfenstein said. Puente de Hózhó provides an environment where different cultures are valued and there is a strong sense of community, Trubakoff said. “We enrich and learn from each other,” Melo said. Parents and students don’t have to be embarrassed if they don’t speak English well, because “we’re all about teaching non-English speakers how to speak English and non-Spanish speakers how to speak Spanish,” Trubakoff said. Some Navajo parents have told Trubakoff they are grateful their children are learning Navajo in school, because many of the parents do not speak Navajo themselves. Last year, Coronado Elementary with support from College Board and Arizona State University’s Confucius Institute offered an after-school Chinese Culture club, added Chinese culture to social studies classes and began Mandarin Chinese language instruction for kindergartners, Wong said. The Higley Unified School District plans to expand the program each year to offer a pre-kindergarten to high school early language option and currently offers Mandarin in middle and high school, Wong said. Kyrene School District will expand its dual-language program from Kyrene de los Ninos in Tempe to Kyrene de los Lagos in south Ahwatukee and “the principal and one of the teachers who started it all are going to lead the effort at Lagos,” said Jeremy Calles, chief financial officer for the district. Calles said the dual=language program has made a real difference at Kyrene de los Ninos. The dual-language program has brought families to Kyrene from all over the valley and there is still space available in Kindergarten at Kyrene de los Lagos in Ahwatukee, said Dolinsek, community relations specialist for the district. For more info on this program and the dual language, please call 480-541-1000. 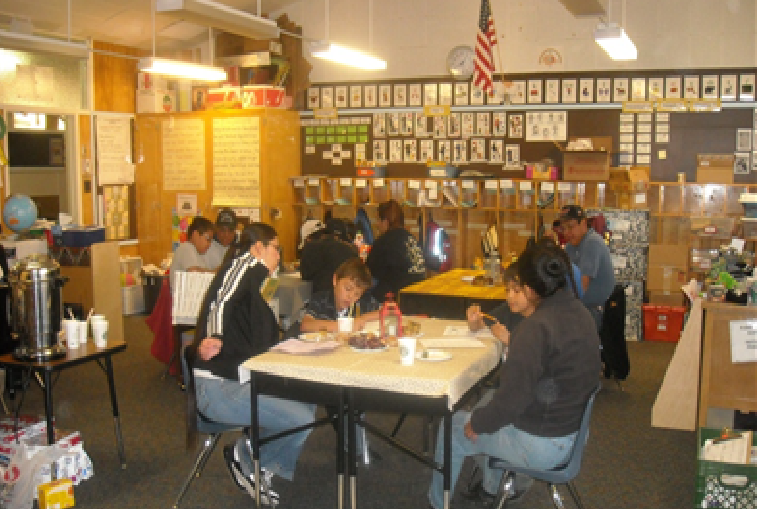 Flagstaff parents are so interested in Puente de Hózhó’s program there is a long waiting list. In Vail’s program, the kindergarten class is full, but there might be some room in first grade and an open house for parents will be held July 10. The Mandarin Choice program at Coronado Elementary is still taking applications for the fall. In Flagstaff, parents and community members said they wanted children to learn Navajo and Spanish languages and culture, so the district’s director of bilingual education applied for and was awarded a Title VII grant for indigenous languages which funded the (Navajo) Diné/English and Spanish/English programs, Trubakoff said. 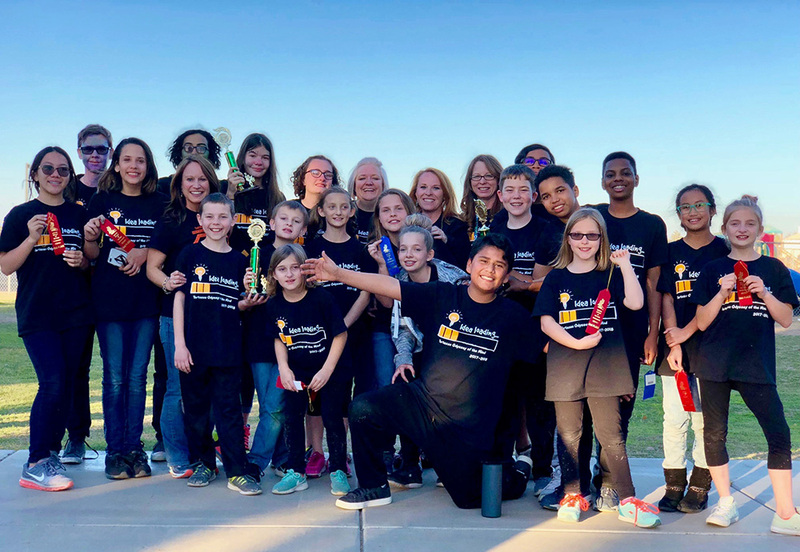 “The program started out with kindergarteners, the next year we added first graders, then the next year second graders and we rolled it on up all the way through fifth grade,” Trubakoff said. In Puente de Hózhó School’s Diné/English program, 25 kindergartners and 25 first graders are immersed in Navajo language and culture, Trubakoff said. In second and third grade they spend half their time learning math and science in Navajo and half their time learning language arts and social studies in English. Then in fourth and fifth grade the students are mixed in with the students in the Spanish/English program. 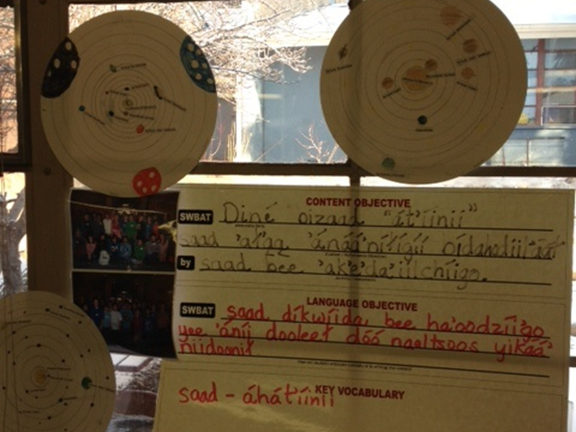 In Tuba City Unified, students are immersed in Diné and Hopi that is aligned with the traditional learning model and the Dine Philosophy of Learning, use technology for digital storytelling and in their flipped learning classrooms, and take part in project/experiential learning, Klopfenstein said. Flipped learning lessons introduce each week’s lessons and objectives, help reteach concepts, and also provide enrichment, Klopfenstein said. There is a minimum of one required flipped lesson per week required by each instructor. “This engagement of students in the language activities before they reach the classroom allows our instructors to facilitate instruction rather than revert back to traditional lecture style,” Klopfenstein said. Experiential/project-based learning gives teachers an opportunity to incorporate cultural teachings, crafts and skills into the curriculum such as weaving, moccasin making, basket making, traditional dancing, arts and crafts, ethnobotany and food preparation activities, Klopfenstein said. In Puente de Hózhó School’s Spanish/English program, it’s a 50-50 dual-language program in which students learn math and science content in Spanish from a native Spanish-speaking teacher and language arts and social studies content in English from a native English-speaking teacher, Trubakoff said. All content is aligned with Arizona’s College and Career Ready Standards. 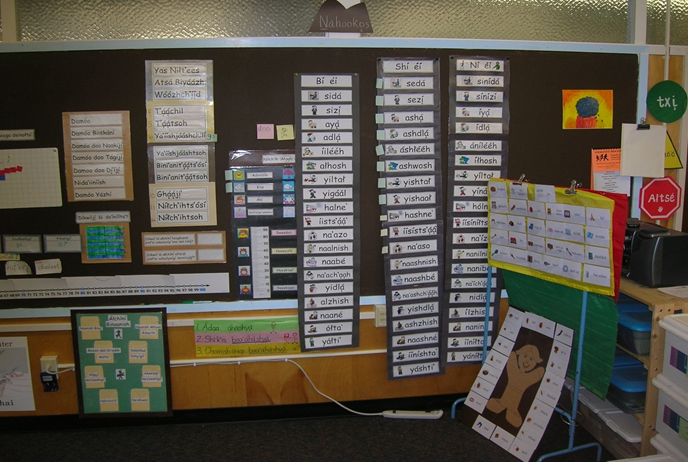 Vail and Higley’s Mandarin programs content instruction follows a similar format. Puente de Hózhó students also write essays in Spanish and English, and do science projects in Spanish and in Diné. Research indicates that “young children learning in two languages show increased brain activity when using the target language,” and that “bilingual brains are physically heavier than monolingual brains,” Wong said. Dual-language immersion students master Mandarin at a far higher level than students who start learning a foreign language in high school, Wong said. “Learning a second language at an early age, especially one as difficult as Mandarin Chinese will protect the child’s ability to sound like a native speaker,” Wong said. Even if less time is spent learning mathematics in the target language, dual-language students show the same or better achievement when compared with students who only speak one language, Wong noted. Puente de Hózhó students’ AIMS scores are just as high or higher than those of the district, county and state, Trubakoff said.